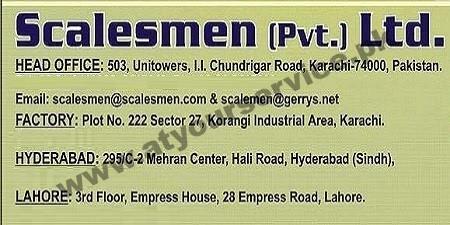 Scalesmen Pvt. Ltd. is located in Uni Tower, I I Chundrigar Road, Karachi. It is manufacturers and providers for Industrial and retail weighing solution.